What is the Sleep Sensei? The Sleep Sensei is a device to help people fall asleep faster using calming breathing training. It's for people who have trouble falling asleep, due to insomnia or an active mind at bedtime. How does the Sleep Sensei work? The Sleep Sensei produces a sinusoidal pattern of light that you follow with your breathing. As the light increases in brightness, you inhale, and as the light dims, you exhale, and the light is bright enough to be seen with your eyes closed. This pattern slows throughout the session, guiding your breathing to become slower, calming you down and inducing sleep. Also, if your mind tends to race at bedtime, the Sleep Sensei gives you something to focus on to help you fall asleep. As the sleep coaching session progresses, the breathing rate very gradually slows down. This change is quite subtle; you'll hardly notice that you've gone from 10 breaths per minute to only 6 by the end of the session! The Sleep Sensei can be put on a nightstand or on your bed, and it works for back and side sleepers. What are the features of the Sleep Sensei? The Sleep Sensei has 4 ultra-bright red LEDs, which allow you to see the coaching light even with your eyes closed. Smartphone apps just aren't bright enough for this. The max brightness of the Sleep Sensei can be adjusted on-the-fly to suit your comfort level. Why red light? Blue/white light actually keeps you awake, while green light has a similar effect and can suppress your melatonin output. This leaves red light, which "has the least power to shift circadian rhythm and suppress melatonin." That's why apps like Flux change your screen to a more reddish hue towards the end of the day. You can change the length of coaching session, initial breath length, final breath length, and brightness. These settings are saved to profiles that are stored in the Sleep Sensei, even when the batteries are removed. The hinged design allows you to aim the Sleep Sensei so you can most comfortably see the light in your usual sleeping position. You can also adjust the stiffness of the hinge. The bamboo Sleep Sensei body is 100% renewable and biodegradable. 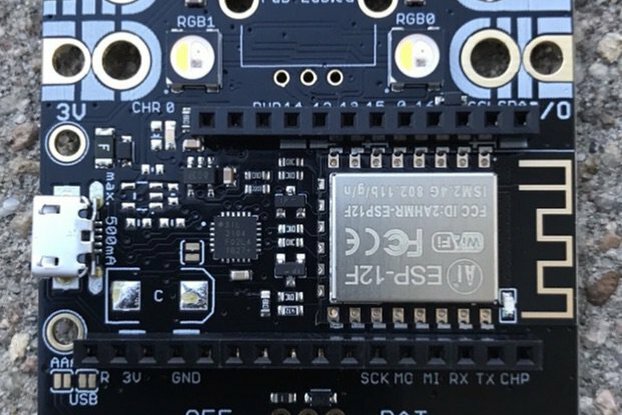 The Sleep Sensei is built on the open-source Arduino platform. All aspects of the Sleep Sensei, including the circuit board design and Arduino code, are freely available. 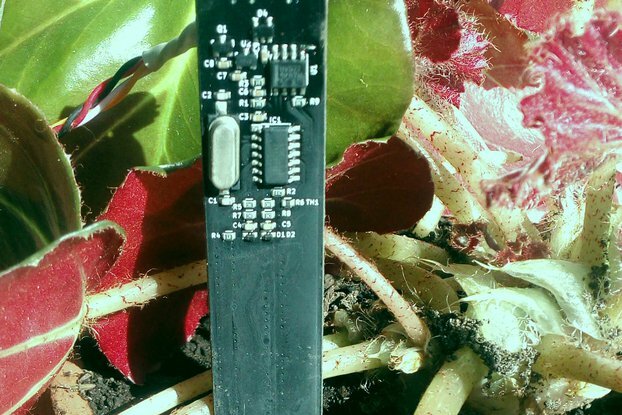 Check out the GitHub page! 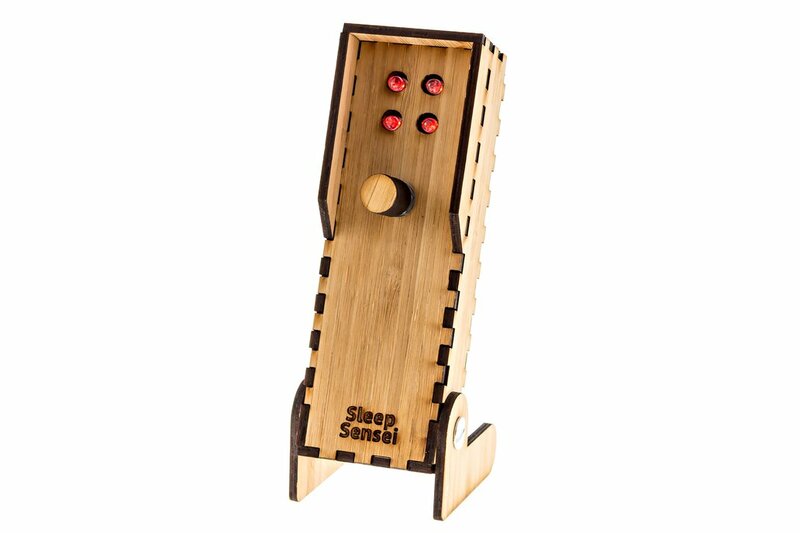 The Sleep Sensei ships as a kit, and it takes less than 10 minutes to put together. Just snap the parts together, and you'll be ready to start being coached to sleep in no time!